VALLEY FORGE, Pa. — The PJM Demand Response Subcommittee would be tasked with updating the testing rules for rarely dispatched DR resources under a problem statement and issue charge presented to members Wednesday. PJM’s Jack O’Neill told the Market Implementation Committee that the RTO’s current testing rules are based on limited demand response (LDR) requirements made obsolete by Capacity Performance. LDR applied only to summers, non-holidays and weekends, while CP requires the resource on demand year-round. Likewise, CP events can now last up to 15 hours — versus just six under LDR — and lack LDR’s cap of 10 reductions a year. PJM says it is concerned because load management events are “low frequency, high impact” incidents. The last recorded event, in 2013, required reductions totaling 6,000 MW across 15 transmission zones. In years when there are no events, there is only a one-hour summer test of performance. “Testing is our fallback position when there isn’t anything to measure against,” O’Neill said. PJM noted that DR has averaged about 123% performance in tests versus about 97% in actual events. “This indicates that testing may not reflect performance during actual events,” the problem statement says. The RTO hopes to bring the revisions to the MIC for a first read in August, a schedule it said would allow for a FERC filing by February 2020 and a commission ruling in time for next year’s Base Residual Auction. The daily load management test failure charge rate will not be affected by the review. 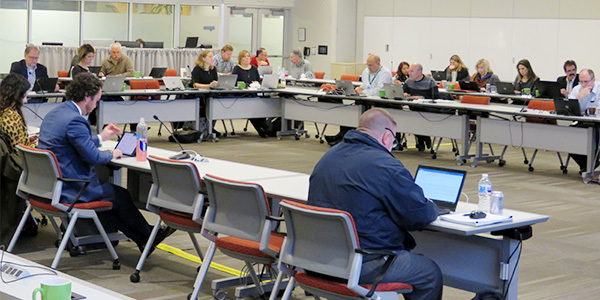 FERC ruled Friday that PJM must seek commission approval for new rules requiring demand response providers to provide officer certifications and additional information on their customers. Demand response providers will face increased scrutiny and be required to provide additional documentation under changes approved by the Market Implementation Committee March 6.